Home » 25 Days of Giving: Helix Mattress Giveaway! Day 5 and we’re feeling fine with yet another fantastic contest added to our 25 Days of Giving extravaganza! We’ve currently got giveaways from Casper, Nest, Saatva, and Bear in the works and are ready to keep things going with a new one from Helix! 25 Days of Giving: Helix Giveaway! Helix boasts a wide range of mattresses to meet the specific needs of different kinds of sleepers. From the ultra-soft Moonlight to the firm Dusk, there’s something for everyone in Helix’s ever-expanding collection of beds. To learn more, check out our full review of the Helix suite of mattresses. Dont know if my first comment went thru – so here goes again, My PT suggests amedium firm mattress for my elderly aching back – preferably with coils. Sothe Saatva- Helix – Wink- – look good to me. MyPT suggests a medium firm for my elderly aching back and one with coils . So I’m thinking of Saatva- Helix – or any other good hybrid???? Out of the best latex mattresses that you’ve reviewed, my favorite is the Spindle. Thanks for the fantastic opportunity to win! The purple mattress would be my choice for those that you reviewed. I would love to try the Helix. I like the Zenhaven and the GhostBed Luxe the best so far! My favorite is the Helix. I will have to always stick with the Purple. Three back to back, :) spine surgery’s coming up in Jan. The months of recuperation would be awesome on a new bed. I really need a new mattress. THE HELIX MATTRESS LOOKS VERY COMFORTABLE. Good looking mattress, hope to win. The Zenhaven is my favorite LATEX mattress you’ve reviewed. It seems like it would fit us good! This Helix mattress would work great for us too!!! Thank you!!! way too many great mattresses to chose just one! id be happy with any of them! We’ve had great experiences with Helix pillows in the past, would love a mattress! I could certainly use a new mattress and this would certainly fit the need. I think I like the Nectar the best! I really like that the Helix mattress has all those layers in its construction which would equate to a very comfortable mattress. A good nights sleep that is comfortable with the proper support is what I look forward to. My wife and I are both side sleepers, so the Zenhaven looks like it might be best for us. The Helix is my favorite! I really need a new mattress. Happy holidays, everyone! WOuld love to try the Helix! My husband travels for work and dreams of coming home. Problem is, he hates our mattress. :/ 10 year anniversary means 10 years with the same mattress. We desperately need to swap for a newer, softer mattress. Taking care of our selves and our spines has become a huge priority. This one sounds like the one! Thanks SLEEPOPOLiS! Latex for Less is my favorite mattress and like the fact that it is a flippable mattress. I love the Helix mattress. Helix would be my 1st choice for sure!! All, so far sound good and would meet different people in the families needs. yesterdays, I cloud was nice for DH back problems. The Ghost Bed is my fave! Almost bought one with all the cyber monday cash back and coupon deals but it’s just not quite in the budget this year. This would be amazing!! Need a new one sooo bad! Yes please my mother, son and myself could use a bed, as we are sleeping on the floor currently! Crossing fingers…. Happy holidays and thank you for such a fantastic giveaway!!!! I appreciate these reviews! Thank you! Would so love this in a twin size for my son. I have a twin size bed i wouldn’t mind a bigger one. Was just wondering your opinion on the best Mattress for me?! I am 5’11” and weigh about 200 lbs. I am primarily a side and sometimes a back sleeper. I am leaning towards a hybrid mattress possibly Saavta, winkbeds, or dream cloud unless you have a better suggestion. I suffer from lower back problems on the used mattress I purchased this past summer. In the morning I can barely get out of bed because it feels like my lower back is out and it makes it difficult to even move. A couple of years ago I purchased a Sealy chaleigh plush but returned it because it caused hip and shoulder pain. Any help or suggestions would be greatly appreciated. I need to do something soon. My sleep quality is greatly hindered and I am tired of waking up so stiff and sore. Thanks! So excited for this giveaway! Thank you very much for the opportunity! The Helix is top of the line! I absolutely love it. Looks nice, hope I win! Just trying to win a mattress here. It is hard to pick just one mattress. I like the Purple one for sure! I like the description of the Helix Midnight mattress. It is designed for side sleepers like me, but has some needed edge firmness. This mattress has a very unique assembly design. The coils draw my attention, as I’m a side sleeper and this looks awfully comfortable!! I like them all. Would definitely like to try one out to pick my favorite. I like this Helix mattress, looks perfect for me. I would love to win a new mattress. I need something to keep me cool while I sleep. Knowing about the motion transfer in the Helix mattress is good. I like the Zenhaven but not only because my last name is Havens but I like it that it is soft for my body but yet firm so that I can get in and out easily. I really like the nectar mattress review. All of the mattresses look amazing but the purple is my favorite. Looks like what I need for a great night’s sleep. Aireloom Latex looks like an awesome latex mattress & is probably my favorite. I’d love to have this mattress! Or the Ghost bed, which is my favorite. I am a side sleeper and seems the Helix would be a great match. The Cedar mattress from Brentwood home I have to say is my favorite latex mattress review you have done. It is a bed in a box hybrid mattress that utilizes natural materials to create an organic sleep environment. I have a bad back, so I listened intently to how these mattresses affect backs. Thanks for the information! This would be great to win! I would love the Helix nightfall mattress. Thank you for the entry. Thank all of you for the giveaways. Truthfully if I won any of your mattresses I would be happy. I’m a side sleeper and have hip pain. I think I’d love the Moonlight model as I really prefer a softer bed. To be honest, even the Midnight sounds like it would be really good giving an opportunity to switch from being just a side sleeper. I would totally freak out if I won one of these! Christmas miracle indeed!! The Helix mattress looks amazing! Still think the Purple is my fave. My favorite mattresses would be the Helix,Nector and the Casper because I am a side sleeper these mattress look like they would make my sleeping a whole lot better. 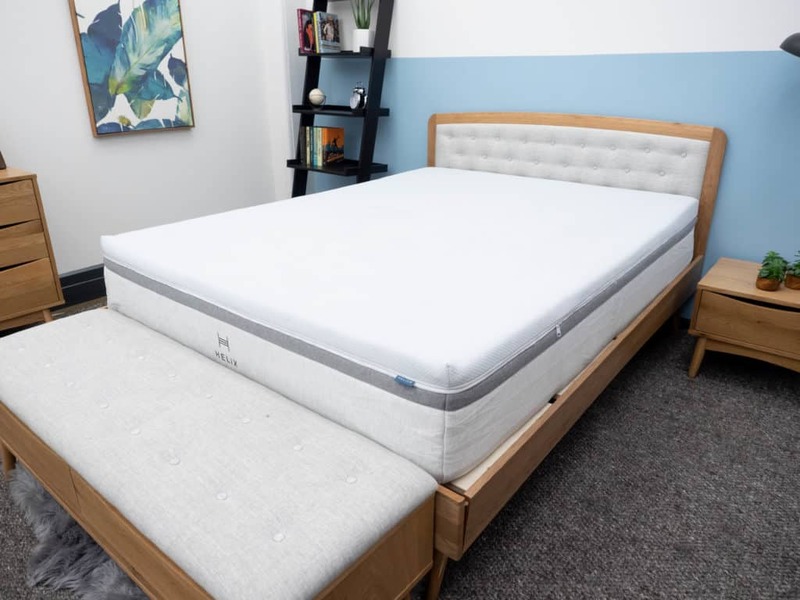 The Helix Mattress looks like a great pick! I need a new mattress, I fact I need a whole new bed,I have been sleeping on my couch for the last 6 months! Helix has a bed for everybody. I like the purple and the Bear mattress. Great reviews on both. I love the review of the Hybrid one, and the Avocado sounds amazing, but all of the reviews were very informative. The mattresses I found most interesting were the Zenhaven and Spindle. Sweet! I’d love to have this! I like the Ghost bed mattress. Also you have yesterdays contest tweet linked for the retweet entry, I retweeted both JIC.